The doctor performing a biopsy on Joan Rivers’ vocal cords stopped to take a selfie in the procedure room while the comedian was under anesthesia and just moments before she went into cardiac arrest, a shocking new report claims. The physician hasn't been publicly identified, but is believed to be Rivers' personal ear-nose-throat doctor. A member of staff at Manhattan's Yorkville Endoscopy clinic told investigators about the physician's questionable behavior, a source close to the death investigation told CNN. Rivers, 81, had checked in for a routine throat procedure at the Yorkville Endoscopy clinic in Manhattan on August 28, when her condition took a shocking turn for the worse. First the clinic's medical director Dr. Lawrence Cohen carried out a scheduled endoscopy. The procedure was intended to help diagnose her hoarse voice and sore throat and it involved the insertion of a camera down her throat. After Cohen had finished his work, a biopsy was allegedly done on Rivers without her prior consent. ‘Even though you are a licensed physician, you still should have, if you will, the checks and balances to get your approval to practice in that particular place,’ Dr. Arthur Caplan, a medical ethicist at New York University's Langone Medical Center, told CNN. Investigators believe that Rivers' vocal chords began to swell during the allegedly unauthorized biopsy, cutting off the flow of oxygen to her lungs, which led to cardiac arrest on the morning of August 29. Rivers was then taken from the clinic to Mount Sinai Hospital a mile away, where she died a week later. On Thursday Yorkville Endoscopy issued a statement denying that any vocal cord biopsy had been carried out at the clinic. 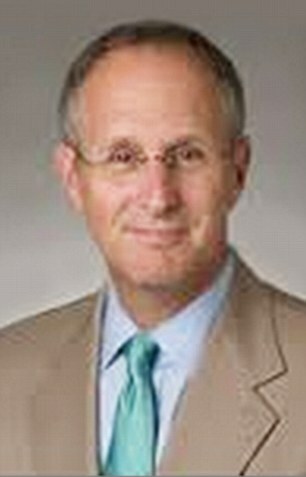 The next day, Dr. Cohen resigned in the wake of the celebrity's death. Neither Cohen nor Rivers' ear, nose and throat specialist have been accused of wrongdoing at this stage by investigators. After several days on life support, Rivers died on September 4 prompting an outpouring of grief from the world of showbusiness. Details of how emergency services responded to the star's unexpected cardiac arrest at a clinic in New York were released last week. Two weeks after the incident, a New York city official revealed exactly how the different emergency services fought to save her, and that she was surrounded by rescuers within ten minutes. The official told CNN that the response began with a 911 call from the clinic, which was given the highest priority. The fire department were first to arrive at the clinic, five minutes after the call. Medical staff were already trying to give Rivers CPR using a defibrillator and a breathing tube. The firefighters then took over the attempts to revive her. Two minutes after the firefighters came, an ambulance arrived at the clinic, whose paramedics helped with the CPR. Almost immediately after that, another Fire Department vehicle arrived with medical aid, making a total of more than 10 people fighting to save her.